Amy Westerlund • Ask Me Anything About Real Estate, Any Time! 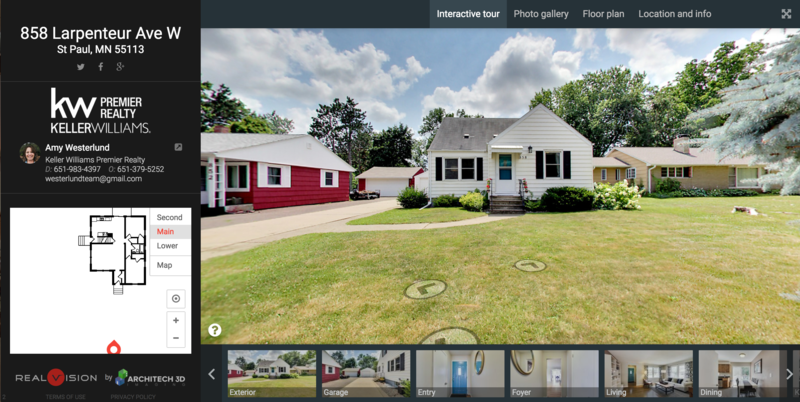 Don't miss interactive 3D walkthrough virtual tour - Click Here! Imagine the convenience of living 15 minutes from downtown Saint Paul and Minneapolis.Ride your bike 5 minutes to Como Zoo and roam around Como Lake, go golfing and explore the water park, rides and the conservatory. Few minutes from Rosedale mall and plethora of restaurant choices. Immaculately clean and upgraded home. Tiled bathrooms, updated kitchen and wood floors throughout main level. The fully fenced back yard is deep with mature trees, fire pit and deck off the kitchen. Lower level fully finished with versatile use options. Already has separate office space, open french doors and entertain. A large room you can close off that has a wet bar and is perfect for movie night, guest room or master suite with attached updated bathroom. Add a pool table, ideas are endless. Updated: 18th April, 2019 10:43 AM.